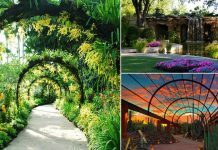 If you want to create a garden on terrace or you already own one, inspire yourself with these 21 ‘Beautiful Terrace Garden Images’. 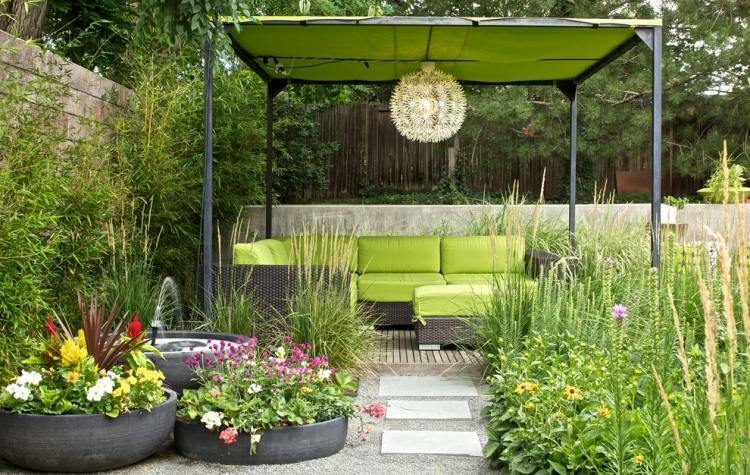 To make a beautiful terrace garden, arrange everything neatly, do not use more than 3-5 colors on your terrace. Plan everything on paper, determine a theme and the ambiance you would like to create there and work accordingly. 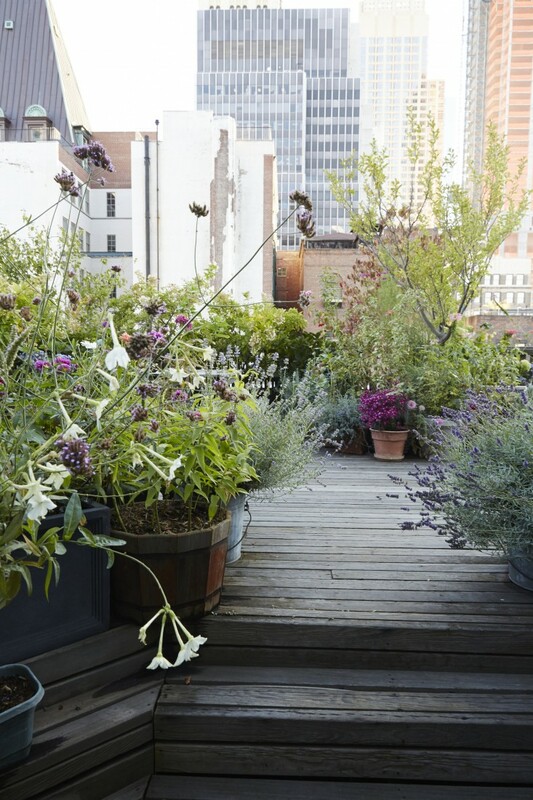 Create an alluring container garden on terrace, grow flowers to embellish it. Most of the terraces are sunny and flowers are easy to grow. Make a lovely flower garden with combination of both perennials and annuals equally. 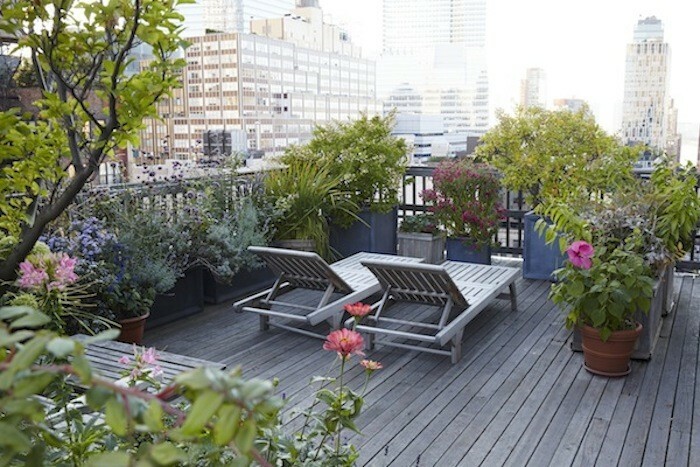 If you want to create a serene and calm garden on terrace, use colors like blue, green, indigo, pink and white instead of bright colors. Grow lot of vines and dwarf trees near the walls. These will use your vertical space efficiently. 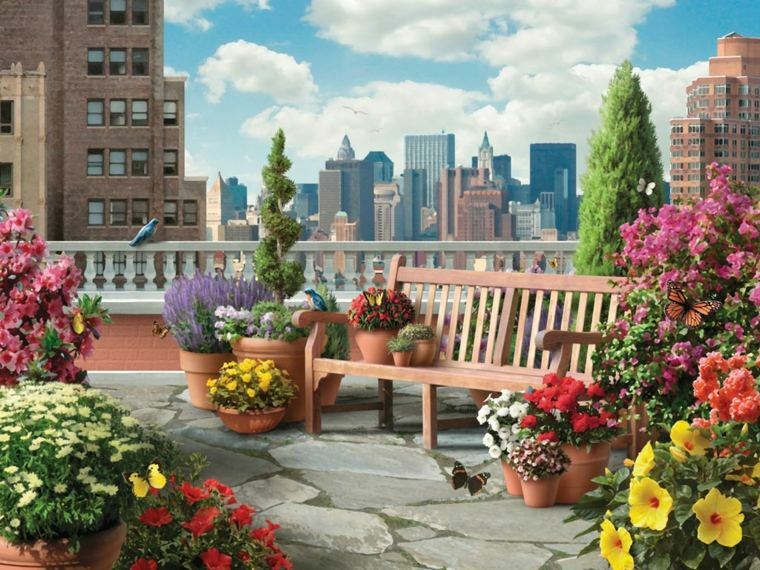 Create a low maintenance garden on terrace, if you are unable to do lot of care. 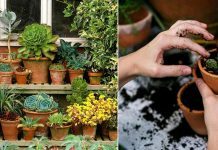 Read these low maintenance garden tips. 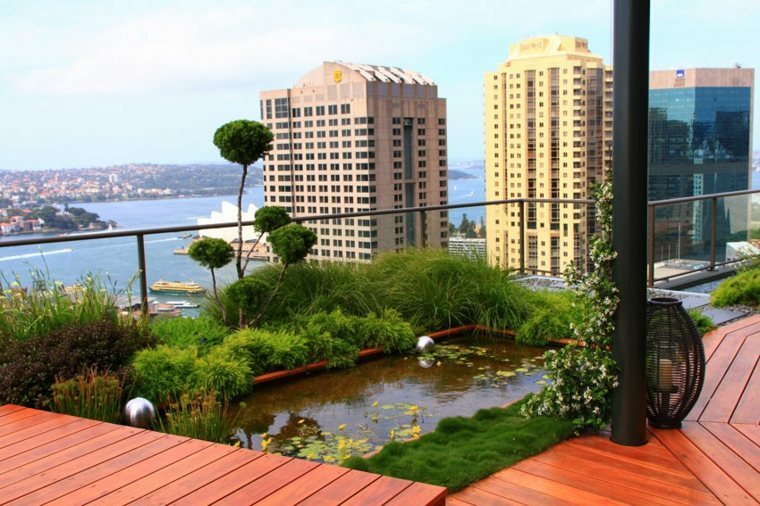 If you want to make a lush green garden, grow lot of dwarf conifers and ferns on your terrace. 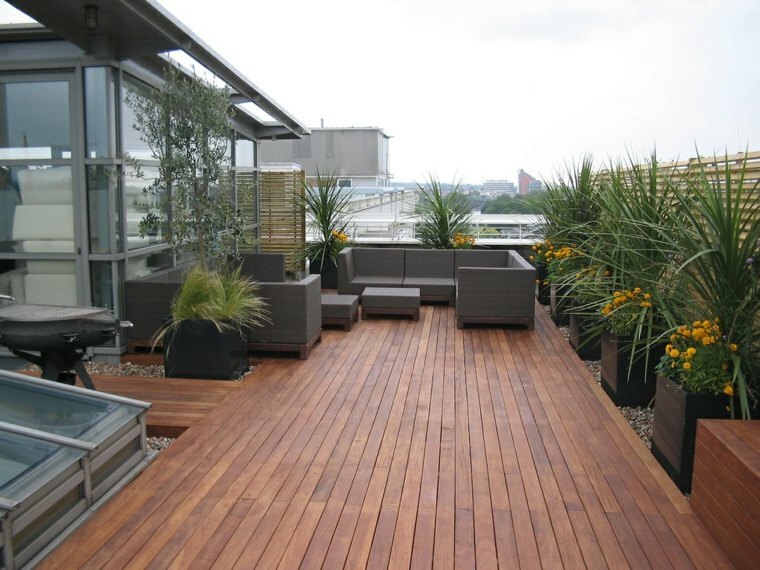 These will give an elegant look with wooden deck and furniture. 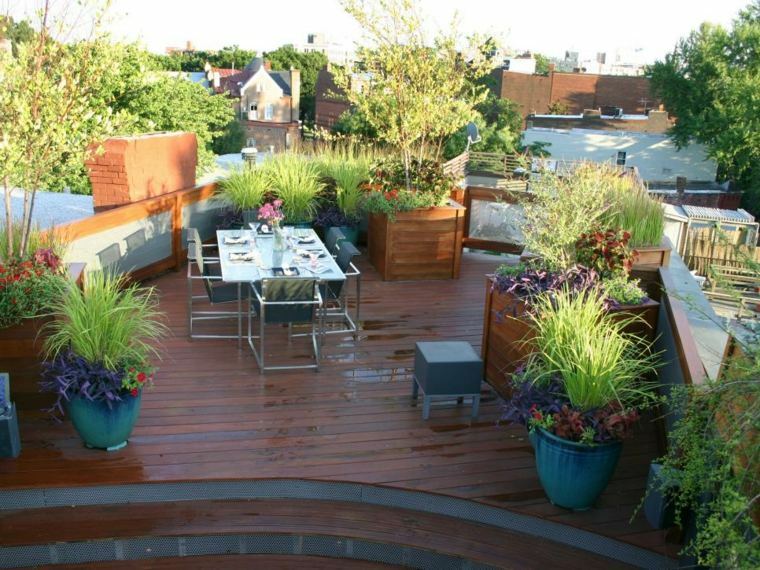 This garden on terrace is simple yet good looking, not so many colors and accessories are used. Excellent use of old tires you can see here, these planters are made after doing some DIY hacks. See these DIY tire ideas for more. 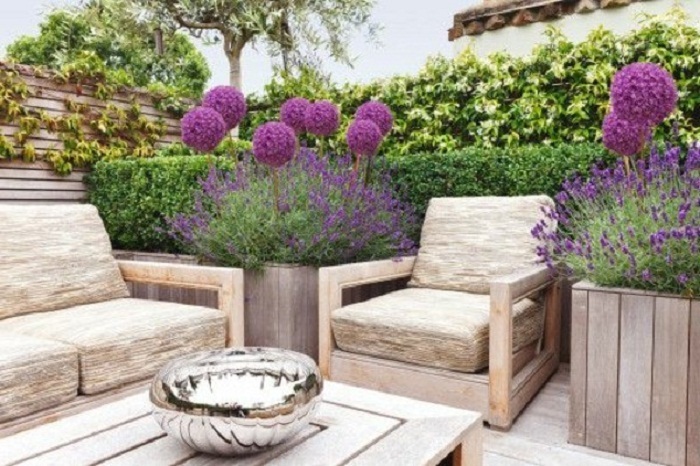 Both lavender and allium (ornamental onion) love sunny spot and well drained soil, growing them on terrace is easy too. 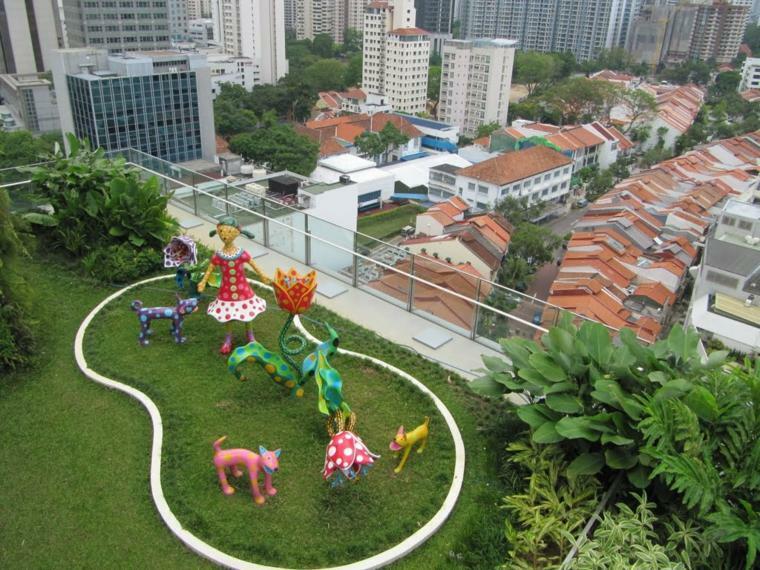 Floor plays an essential role in creating a beautiful terrace garden. You can also use pebbles to add an extra element. Making a lawn on terrace is possible too. 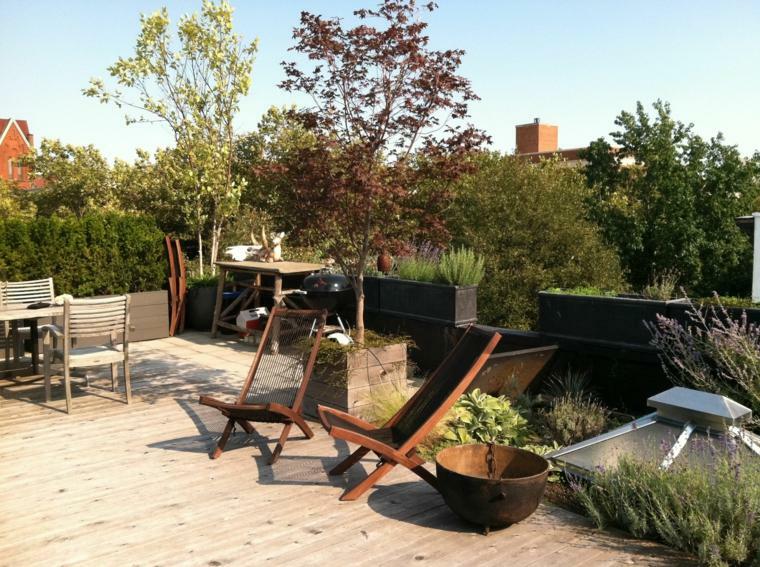 You’ll have your best seating place above your urban dwelling, if you’ll create a terrace lawn. 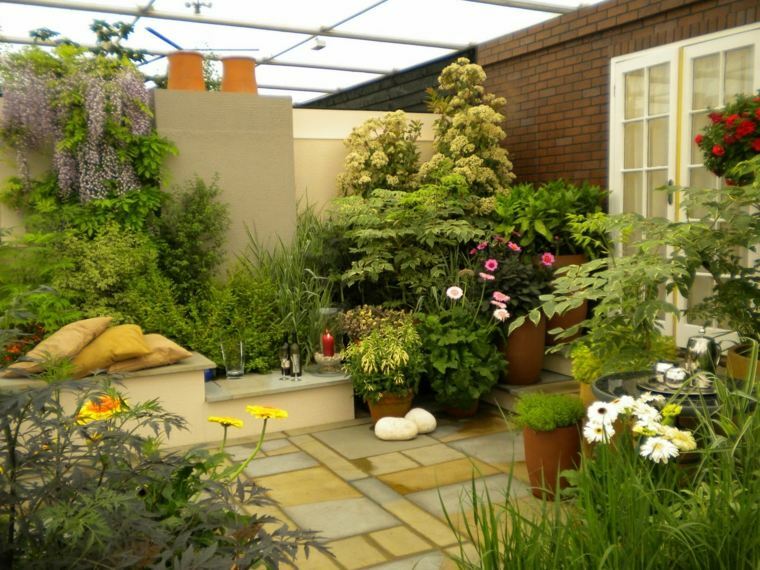 Create a cottage garden like setup, wild and overgrown terrace garden that will give you peace of mind. In the garden you can white nicotianas are grown for scent and lavender in other corner with lot of perennials capturing the eyes. You can see more about this on Gardenista. 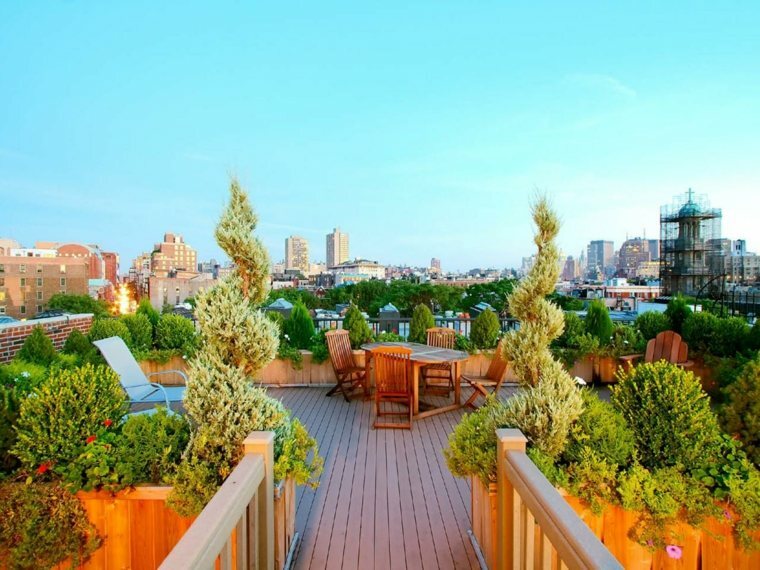 What’s not you can do on your terrace? Make a water garden, if you love to grow aquatic plants. If you have a north or east facing terrace, you do not receive full sun. In that case grow plants that grows well in partial sun. 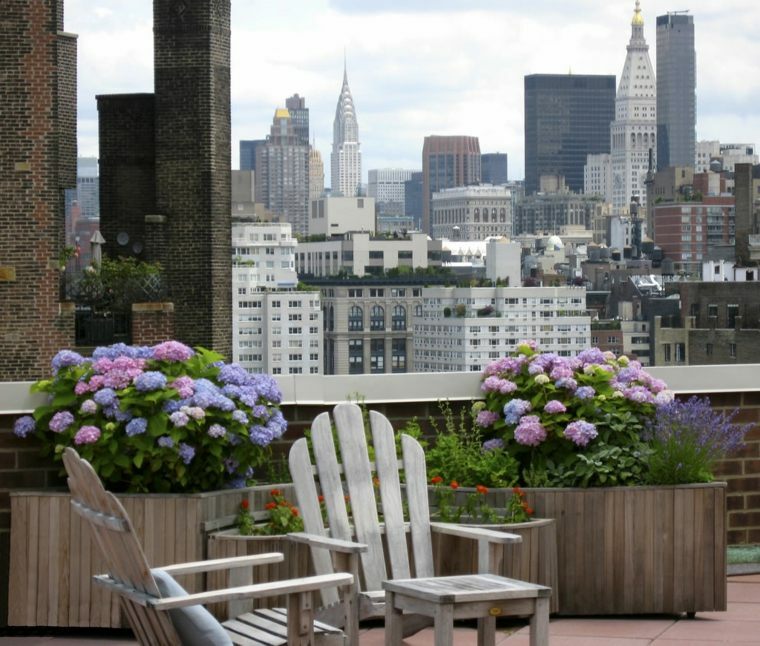 Ferns, Ivies, violets and pansies are good choice for such terrace gardens. 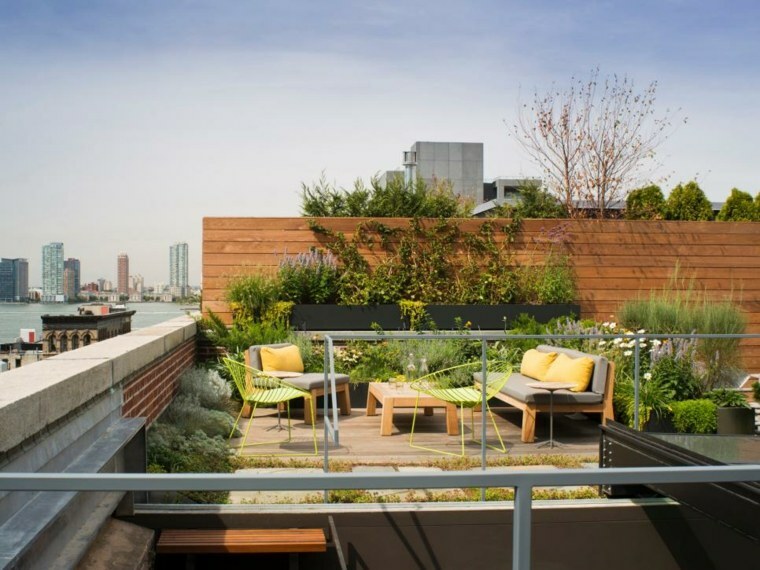 Make raised beds on your terrace to grow trees, this is a good idea if you want to grow large shrubs or trees that have deep roots. 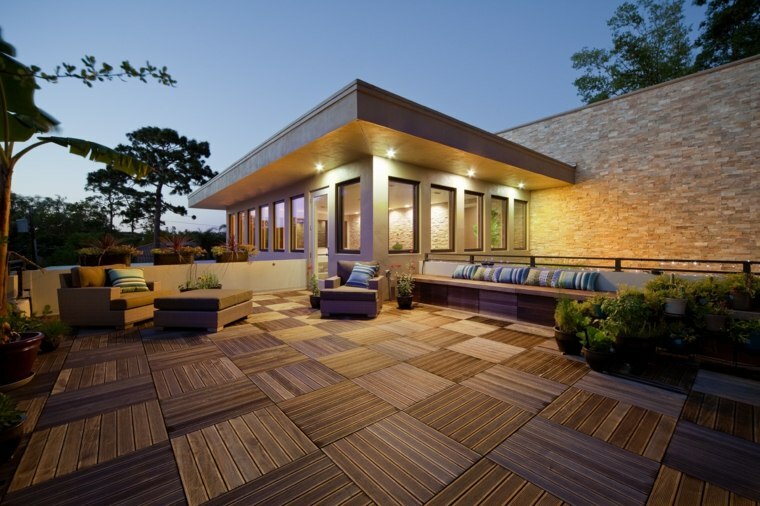 Classy and elegant, deck tiles are looking beautiful on this terrace in the evening. If you don’t want to grow lot of plants on your terrace, simply put some potted plants in the corner. 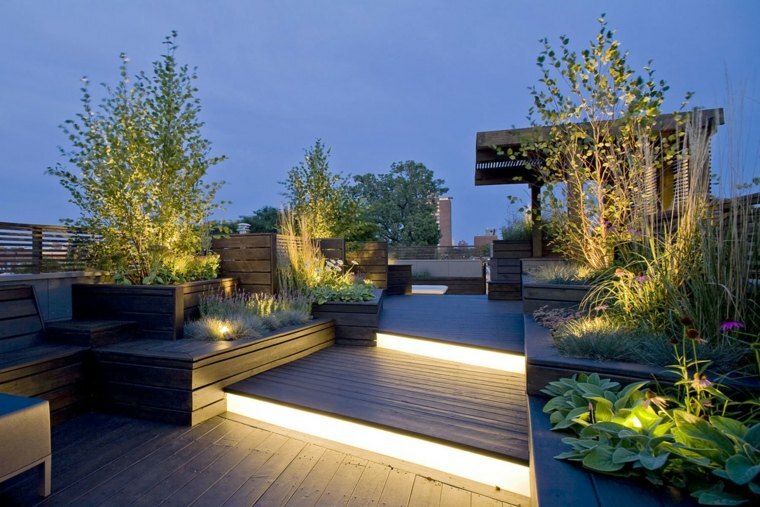 Make your beautiful terrace garden more zippy at night so you can savor your dinner there, do some lightning and you will all set to enjoy. 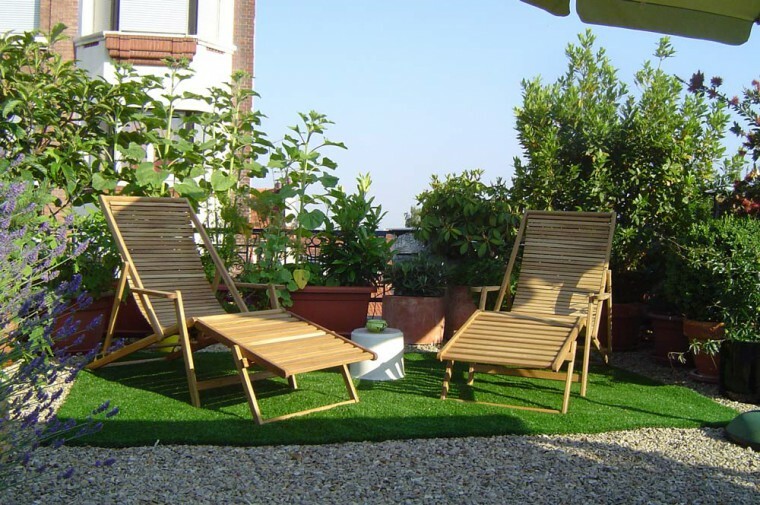 Growing a lawn needs lots of maintenance and care and if you are worried about this, use synthetic grass, it is a good option for both terrace and balcony gardens. 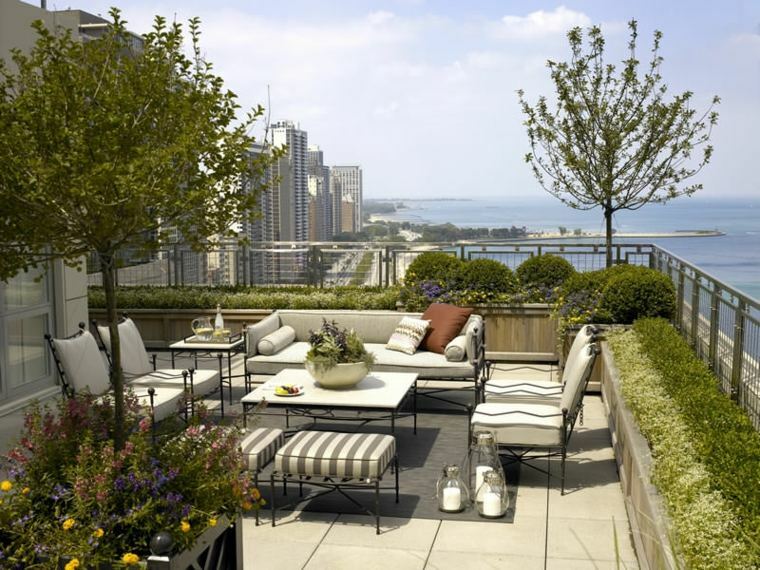 Using light colored furniture is a great idea to follow on terraces, because light colored furniture don’t heat up early. Grow dwarf trees and bamboos for terrace garden privacy. 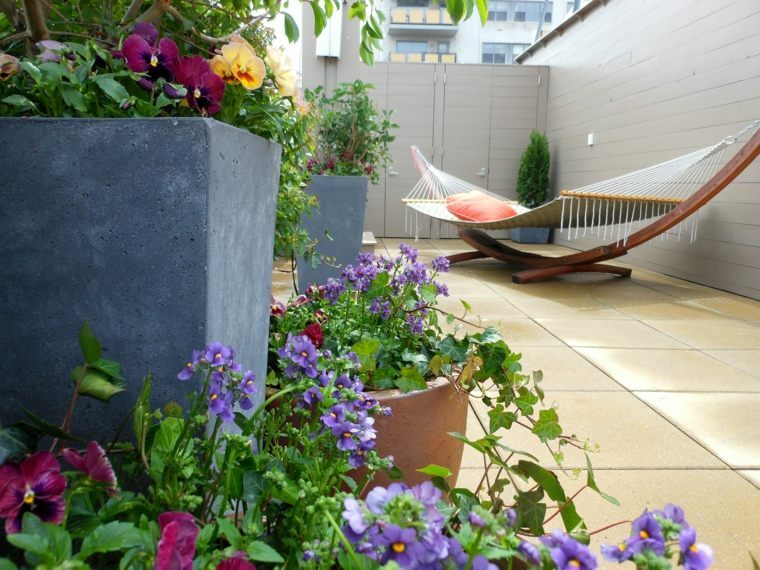 You can grow annuals under potted trees, this is a good idea for limited space like terrace. 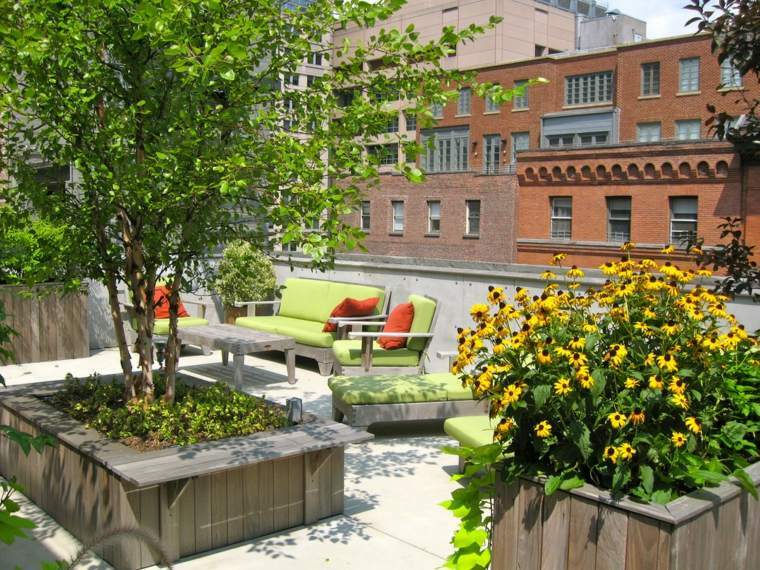 Terraces are of limited space so it is good to use fold-able furniture to save space. Such a lovely collection. Great job! 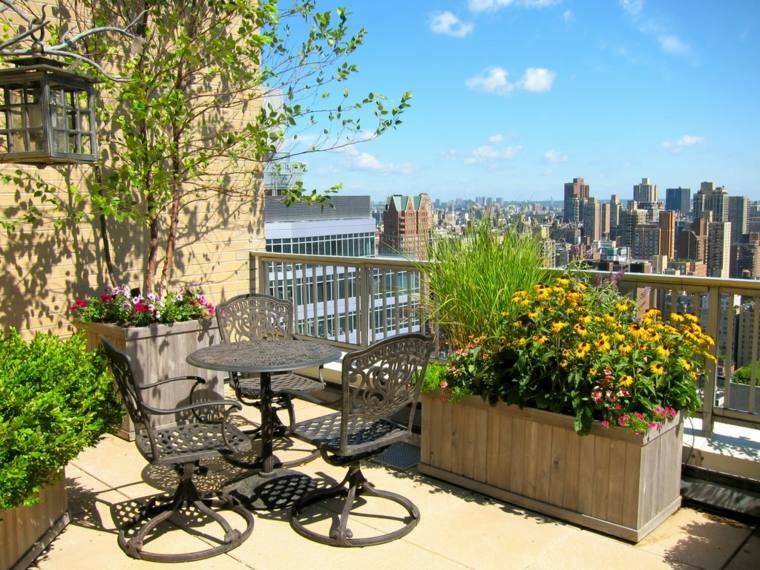 Simply AMAZING terrace garden ideas. Love it. 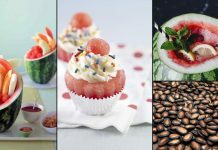 really good work..in small spec good idea..